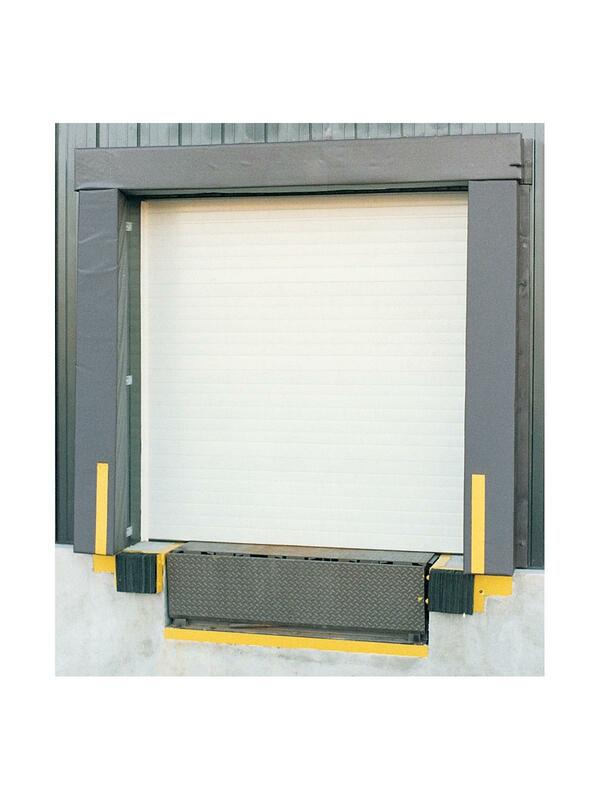 Combines the advantage of low cost and excellent sealing action. Designed for maximum energy savings with long-lasting features. For use with a 8' H x 8' W doors. 36 oz. nylon reinforced vinyl facing has a higher tear strength than equivalent weight hypalon. Chemically sealed ends prevent moisture infiltration. Full height air escape tunnel. Mounted and bonded on durable wolmanized wood. 2" nylon reinforced vinyl guide stripes. Through the wall installation kits included. Three piece construction; top -- 12"H x 114"W x 10" projection; sides -- 96"H x 10" projection with beveled sides with 9.5" at the wall, and 12" at the face. 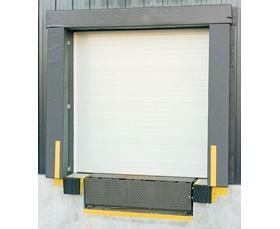 Dock seals overall height are 108"H x 120"W. and Door Openings are 8'H x 8'W. All dock seals and shelters on this page are not returnable. FOB Shipping Point. See Related Items tab for Dock Seal Options.